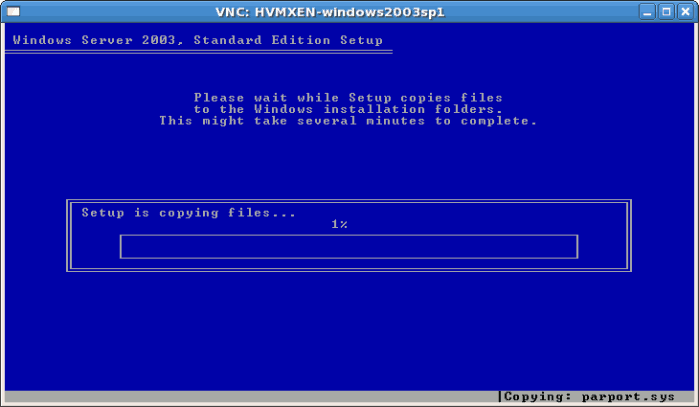 This chapter describes installing a fully virtualized Windows Server 2003 guest with the virt-install command. virt-install can be used instead of virt-manager This process is similar to the Windows XP installation covered in Section 8.3, “Installing Windows XP as a fully virtualized guest”. 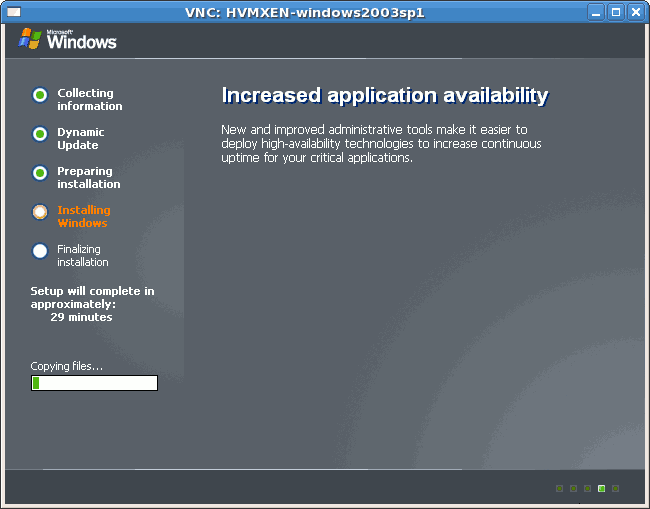 Presently, Red Hat Enterprise Linux hosts on the Itanium® architecture do not support fully virtualized windows guests. This section only applies to x86 and x86-64 hosts. Using virt-install for installing Windows Server 2003 as the console for the Windows guest opens the virt-viewer window promptly. 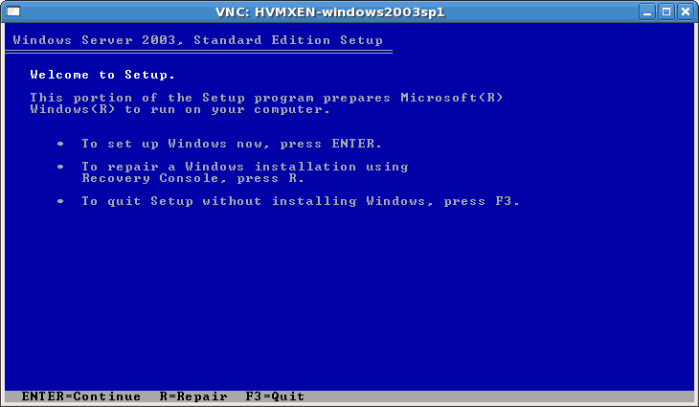 The examples below installs a Windows Server 2003 guest with the virt-install command. Once the guest boots into the installation you must quickly press F5. If you do not press F5 at the right time you will need to restart the installation. Pressing F5 allows you to select different HAL or Computer Type. Choose Standard PC as the Computer Type. 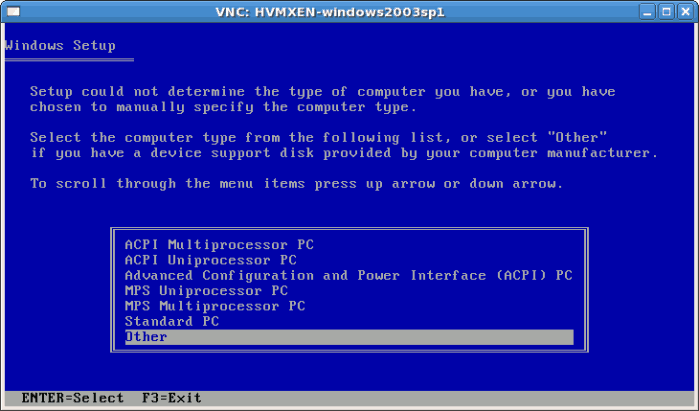 Changing the Computer Type is required for Windows Server 2003 guests. Complete the rest of the installation. Windows Server 2003 is now installed as a fully guest.